A while back I was listening to the Ted Radio Hour. The guest was Harvard psychologist, Dan Gilbert, an expert on happiness. He wrote a widely-read book, Stumbling On Happiness, and was describing a common experience he has after people find out about his research: they want to know the secret to happiness. Listen to the entire episode here. According to Gilbert, the secret to happiness is really no secret. Researchers have known for quite some time that prioritizing social relationships, focusing on experiences rather than material things, and being “in the moment” are consistently found to be the key ingredients of a happy life. But when he tells people this they are almost always disappointed. He believes it’s because they don’t want an answer that requires effort, what they’re really looking for is a simple trick that will magically lead to happiness. This reminded me of a conversation I often have with students. Each semester, usually after the first exam and more steadily as the end of the term approaches, they come to wanting to know “the secret” to improving their grade. 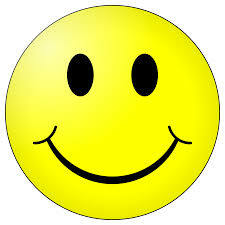 But just like those inquiring about the secret to happiness, the questioners are not interested in making an effort. All they really want to know is the secret. I’m usually met with incredulous looks. Not sure if I’m being serious or being a jerk, they wait to hear more because, surely, as the issuer of the grades I must know how they can be easily attained. The notion that there is a secret formula for getting good grades is rooted in our approach to education, where intellectual growth and cultivating curiosity are viewed as secondary to the real goals of the grade, the credits, the credential. The reason for taking a class has been reduced in the minds of many (probably most) students to a means-ends calculation. The substance of the course is irrelevant. From the student’s perspective, the goal of each step in the education process is simply to “get it out of the way” so they can check off another requirement toward the degree and get with what is really important – making money. 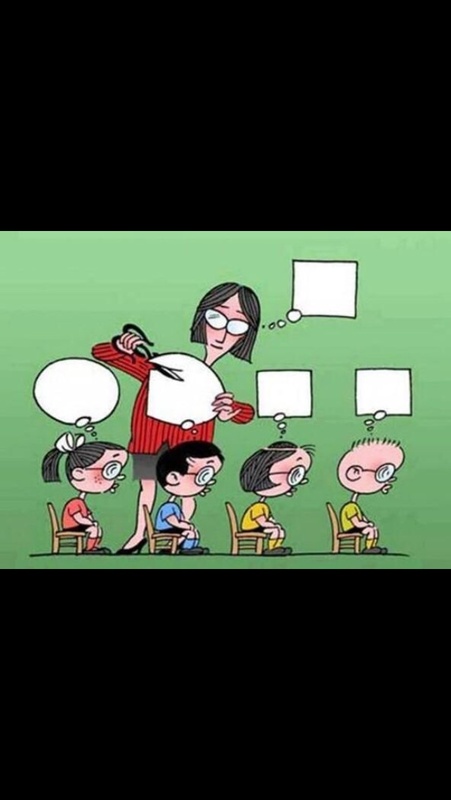 The learning and thinking parts of education are are merely obstacles standing in the way. rgarten when schools begin “teaching to the test” for fear that low scores might jeopardize the school’s reputation or its funding. Five and six year olds, who are naturally curious and creative, learn much too soon to color inside the lines. By middle school, they’ve figured out that they are rewarded only when they provide the “right” answers. And in high school they’ve sorted themselves out into “good” students, who know how to get good grades and the “bad” ones who don’t. By the time they get to college they are highly-skilled grade grubbing creatures, efficiently gathering “points” and hunting for “extra” credit, like lab rats trained to push a bar to receive some kibble. In this single-minded quest for grades, most will fail to appreciate the significance of the ideas they’re being exposed to and few will derive any joy from the once-in-a-lifetime intellectual adventure they are taking. This brings us back to the secret to happiness and its connection to good grades. between the two. First off, there is no “secret”, no trick, no magic pill. In either pursuit you want to focus on being present – immersing yourself in the situation or the task at hand. So, while you’re taking biology, become a biologist. In English, become a writer, and in sociology, become a sociologist. Remember that you’re there to learn stuff, not to get a grade. Seek exposure to new ideas and new ways of looking at the world. If you’re doing it right, you’ll remember what you learn in a class long after you forget the grade you got. 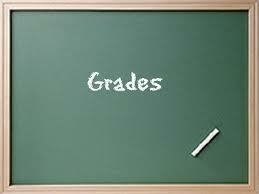 Don’t waste your time worrying about things you can’t control, like grades. In the long run, grades don’t matter much – employers and graduate schools care more about how well you can write and think. And they aren’t a good indicator of what you’ve learned. Students who work their tails off to get a C often learn more than those who effortlessly get an A. Finally, be an active participant in your education. Approach it like it’s a rare, fleeting and valuable experience – because it is. Only about five percent of the world’s people ever get the chance to sit in a college classroom and contemplate the collective wisdom of humanity. You should be cherishing the opportunity you have to expand your understanding of the world and your place in it. Don’t waste it on trivial things like grades. Those who spend their time in college focused on grades at the expense of learning are like those who spend their lives preoccupied with making money and accumulating material things, believing it will make them happy. But as the experts and our grandparents tell us, money doesn’t buy happiness. No one wants to be the tragic figure who is alone on their deathbed when they finally figure this out. Don’t be the student who realizes too late that they failed to get an education because they were busy pursuing grades. ⟵What is the Purpose of a College Education? Students are punished for the rest of their lives for not making good grades. Straight A’s can mean the difference between an Ivy-League education and a local community college, as well as all of the variations in between. Other respondents also assume that it has to be an either-or choice. Presumably, the students that do have a passion for learning will make high grades, but this is not the case. I’ve always been a passionate student, but when I was in high school, I decided grades were no longer important to me, and that I would just do my best. I learned all the material and basically gave up on doing busy work. Not surprisingly, I didn’t do that well. Although I graduated with 60 college credit hours (equivalent to the first full two years of college), my GPA was relatively low and I couldn’t get the scholarships that would allow me to attend the elite private schools to which I was accepted. Additionally, once I realized my error, I still did some of the meaningless work, but I wasn’t focused on maximizing my grade. Imagine my consternation to be able to discuss all the key concepts intelligently and in-depth to only get a B, while narrowly focused peers got A’s! I later attended business school at a top institution with a better mindset. Higher grades got me scholarships and easier access to better jobs. This in turn reduced the debt burden (I’ve had about $200,000 worth of education, most of which I’ve had to pay back myself, delaying marriage, family, home, and many other pretty important life things), allowing me to do more with my life. Grades matter a whole lot. Unless you are willing to personally finance a student’s life such that they don’t have to worry about student loans or making enough money to pay for even a subsistence lifestyle, don’t bemoan grades. they can get a student to a stable place in life. Without that, they won’t have the time to consider happiness because they’ll be solely focused on surviving. Well thought! I think life goes in pursuing one thing after another — chase grades, job, girlfriend, boyfriend, health, youth, etc. human wastes so much time in chasing social constructs which have little or no relation to true fulfillment of life. I see sadness in the eyes of the professors, teachers, who got it all together by dedicating their life to get good grades. 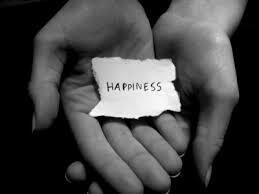 So the pursuit of happiness, chasing of social constructs to realize they all fail to make us happy for long time. 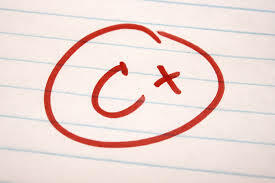 Getting A, B, C grade can boost your happiness for few minutes, but then we have face our realself, which is indifferent from all social constructs and good grades. Social constructs such as school education of 12 to 15 years of person’s life is wasted on learning maths, history, science, etc. In today’s society 22 years of education can be learnt in 3 to 5 years — young person can spend 15 years extra life developing social skills, learning to cope with stress, health, perusing the things which have potential to make them. 22 years life — majority of it is wasted in Persuit of getting good grades to find out that it was a mirage. This is an enjoyable read and I think it makes a good point. However, I feel that there is an argument to be made for students who actually really do love learning. These students, myself included, not only strive to “make the A” but also have a deep-rooted passion for learning and try to absorb as much academic material as possible. To elaborate, when faced with a course that is either, a) extremely challenging or b) of absolutely no interest whatsoever (math, as an example of both a and b), I find myself focusing solely focusing on making the grade. However, in classes that provide even the smallest spark of interest, I find myself exceeding the basic expectations of the syllabus and doing all I can to really, truly LEARN the material. In classes such as these, I often find myself thinking more deeply about the course content, applying it to my own life, and looking up related information online. I once took a general education course and ended up LOVING it so much that it resulted in my adding a second major. Adding a second major did not occur in the pursuit of “credentials” or even of cultural capital, as discussed in class. I had an academic experienced that shaped and changed my world view so greatly that I could not resist learning more, even if it might further detain me in the post-college “quest for money”….the thing that “really matters.” Ultimately, the point I am trying to argue is that, students seeking only to make the grade (earning points rather than gaining knowledge) is a stereotype. Like any stereotype, it is based on a mostly-accurate generalization of a population. Yes, many students get an education to later make money, please their parents, or meet societal expectations. However, also like stereotypes, there are exceptions to the rule. Rest assured, there are students out there who do actually enjoy education for a singular purpose: the love of learning.